We believe that even — maybe especially — conservatives should reject the view that the First Amendment requires super PACs. 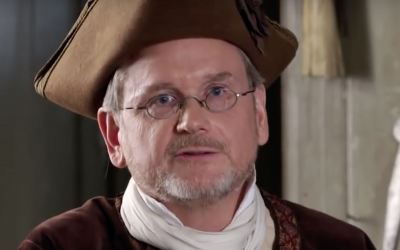 An increasingly important fraction of the United States Supreme Court — the “originalists” — believes it should interpret the Constitution in the way its Framers would have interpreted it. We believe that we can show that such an approach must reject any constitutional protection for super PACs. 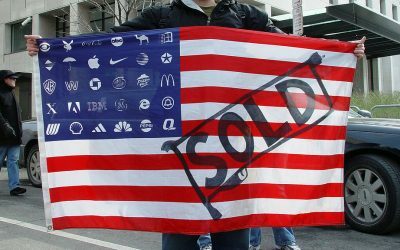 In Citizens United, the Supreme Court held that corporations (and unions and rich people generally) can spend unlimited amounts of money supporting or opposing a political candidate — just as long as they do it “independently” of the candidate’s campaign. Based on that decision, a lower court held that if the First Amendment meant you could spend unlimited amounts independently, it must also mean you can give unlimited amounts to an independent political action committee. That decision created the super PAC. And that decision — we believe we can show — is not consistent with the Constitution, at least as an originalist would read it. Working with citizens in Alaska — where state law gives citizens the right to demand election law be enforced — we want to take this question to the Supreme Court: What would the Framers have said about super PACs? If we can get even just one originalist to agree with us that the Framers would have hated super PACs as much as we do, then with the other four justices who have already indicated they oppose super PACs, we could end super PACs once and for all. WHY DID WE FILE IN ALASKA? 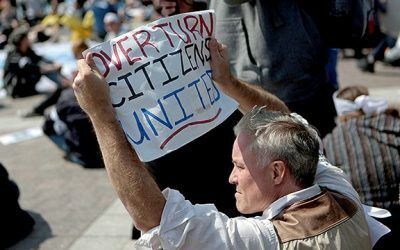 Alaska has something few other states still do: limits on contributions to independent political groups (in other words, a law that, if enforced, renders super PACs largely unworkable), plus a unique provision that allows any Alaska citizen to ask election administrators to enforce the law. In 2006, Alaskans voted that individuals can only give a maximum of $500 towards an independent group, and other outside organizations (like unions or advocacy groups) can only donate up to $1000 to any given independent group. These contribution limits make sense for Alaskans. With its abundant natural resources and small population, Alaska is particularly vulnerable to the corrupting influence of big money in politics. 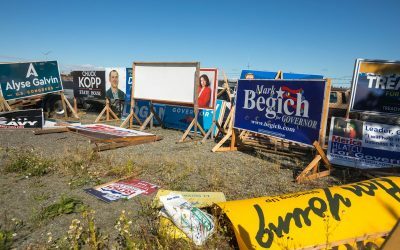 But for several election cycles, the state entity that is tasked with enforcing the aforementioned contribution limits—the Alaska Public Offices Commission, or “APOC”—has refused to enforce them. The APOC concluded that the limits are unconstitutional under several lower court decisions that struck down similar laws in other states. But no one has yet challenged APOC’s interpretation, one that undermines the will of Alaskans. And the Supreme Court has never weighed in on the constitutionality of these limits, either. So there is ample legal room to press the issue. If the Supreme Court agrees with us that these limits are constitutional, we can end the influence of super PACs nationwide, and thank these Alaskans for taking up this important fight with us. Complainant Donna Patrick is a nurse practitioner who has lived in Alaska since 1983. "It’s time that we look again at what our democracy requires. And fundamentally that is that politicians need to be responsive to the electorate and not to these giant special interests that really skew the system. I hope [this case] starts a chain reaction that leads to reforming the system in America." Complainant James Barnett, an attorney who has been practicing law in Alaska since 1974. Complainant Pat Lambert has lived in Alaska since 1982. He is an emeritus professor at the University of Alaska Fairbanks. This legal case is a project of Equal Citizens, and is led by our founder, Professor Lawrence Lessig of the Harvard Law School. It is managed day-to-day by Equal Citizens’ Chief Counsel Jason Harrow, with the assistance of attorneys Scott Broadwell and Liz Hodes in the Anchorage office of law firm Davis Wright Tremaine LLP. The formal complaint asks APOC why it has failed to enforce the contribution limits against two different entities: one that supported a Republican, and another that supported Democrats. The first entity is a right-leaning independent group called Interior Voters for John Coghill. This is an outside group that supported the election of Republican John Coghill, who is currently the state Senate majority leader. This outside group accepted over $40,000 from a group called The Accountability Project. The Accountability Project claims to hold “candidates and elected officials accountable for how they impact jobs, business and economic development in Alaska.” The Anchorage Daily News, however, described it as a “business-backed political group” that supported very conservative candidates in the last election cycle. The second entity is a left-leaning independent group called Working Families of Alaska. This group supported a wide variety of Democratic and moderate or left-leaning candidates, and accepted over $220,000 in donations in 2016 from two union affiliated groups: Laborers Local 341, and Laborers’ Political Education League. These entities were not named because of any misconduct or because of any particular political stance they took. Instead, as best we can tell, they both filed their required reports and took and spent money in accordance with what APOC believes is the current law in Alaska. But even though the groups come from opposite sides of the political spectrum, they are united because both groups accepted donations well above the statutory limit (which is $1,000). Thus, we are asking APOC why it did not enforce the existing laws against these two entities. On Jan 31, 2018, on behalf of our three Alaskan complainants, we filed the complaint against APOC for their failure to enforce the voter-approved contribution limits. This was the first step of this legal case. (See the press coverage on the complaint filing.) On Feb 21, 2018, we appeared before the five-member Alaska Public Offices Commission in Anchorage, Alaska to argue our case. A lawyer representing the Commission argued that APOC should reject our complaint, because other federal courts that have already ruled that contribution limits to independent political groups are unconstitutional. But our Chief Counsel, Jason Harrow, gave a passionate rebuttal, outlining how super PACs were negatively affecting Alaskans, and urged the Commission to reconsider how the federal court decisions applied to Alaska. Unsurprisingly, the Commission voted 3-2 to reject our complaint. While that sounds like a setback, a rejection was exactly what we wanted. This rejection allowed us to appeal our case to the Alaska Superior Court, setting a clear pathway to litigating in front of the Supreme Court. If we win at the U.S. Supreme Court, that will change everything. If the government may enforce limits on donations to independent political action committees, then the corruption of money in our political system will be radically reduced. Cutting this unhealthy link will make government more responsive to everyday citizens. The judge has allowed us to present expert testimony on how the Framers would have understood “corruption” — and how the current practice of super PACs fits that understanding to a t. We estimate that we will need at least $100,000 to cover our costs in this case — including, most importantly, the experts. That’s just a fraction of what we’ve raised before. But we’ve got to ask for your support again.